Packing your bags this summer? The world is a treasure trove of sights to experience and hold dear. Take a wild chance on an unlikely destination by booking a trip to a place you never knew existed. As an ode to Pantone’s Color of the Year, we’re charting your journey to five must-see Ultra Violet spots. 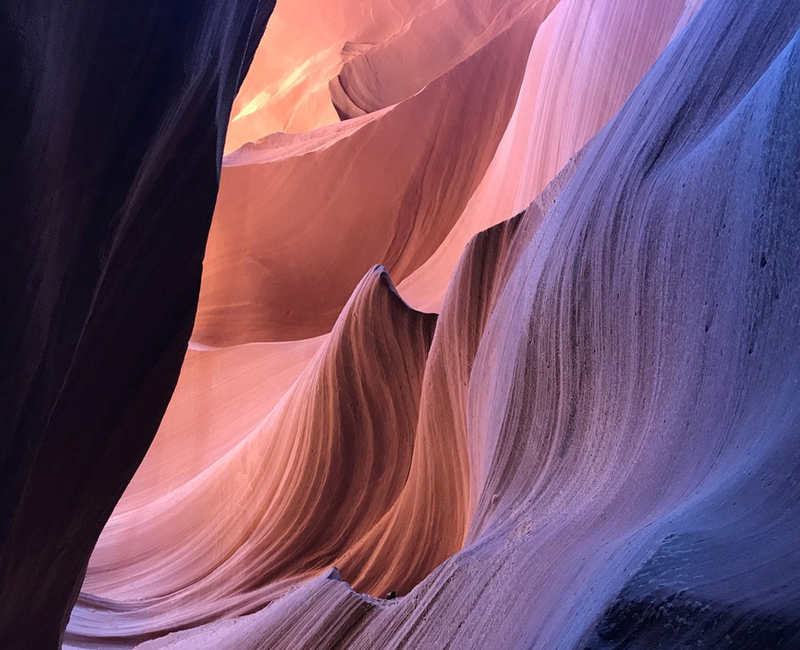 Antelope Canyon is a sight to behold. Lucky for us, it’s right in our backyard. The canyons of Arizona are one place you can find deep, moody ultraviolet tones in the United States. After millions of years of water erosion, Mother Nature gave us a visual gift that sparks our sense of adventure. The canyon walls climb 120 feet above the streambed, making it a cathedral of swirling sandstone. Visitors can hike the canyon and explore the caverns on the LeChee Chapter of the Navajo Nation. If you’re lucky, you’ll be able to capture the canyon’s picturesque light beams on a summer day. Taking a walk through Japan’s wisteria tunnels is like stepping through the pages of your favorite fairytale. The efflorescent arches are blooming with opportunities in a spectrum of purple shades. Stare above you at the cascading blossoms overhead and try not to be mesmerized by the sight and scent of this magical escape—we dare you. 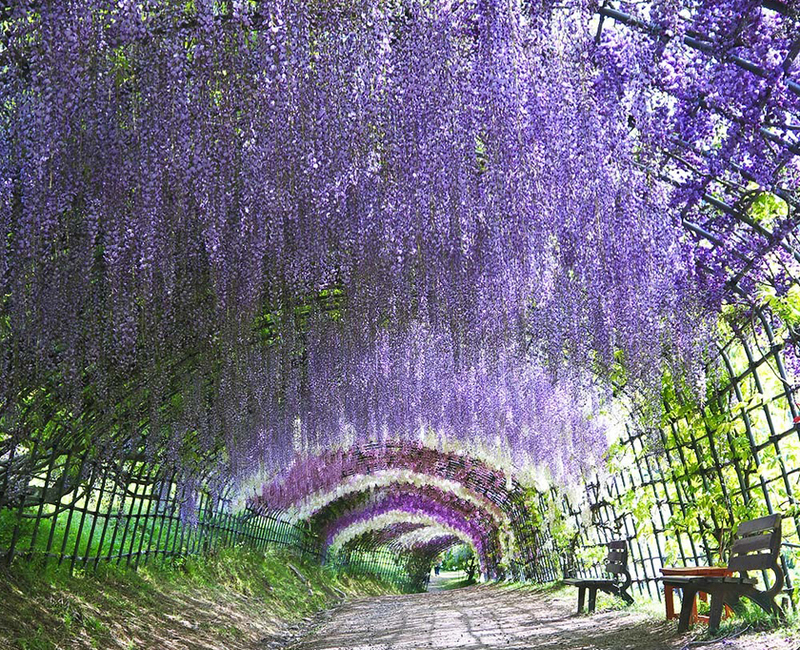 The Kawachi Fuji Garden is home to 22 different types of Wisteria, each of which adorns winding tunnels and visitor paths. Each step is a page turned in a whimsical storybook, and you’ll never want the story to end. 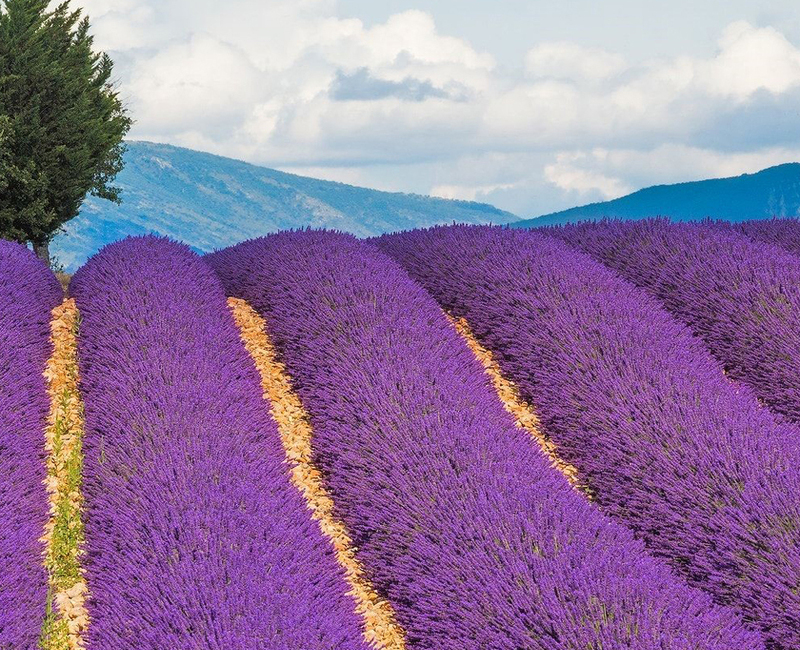 One can’t think of Provence without thinking of the sweeping hills and thriving lavender fields that stretch across the valleys. The dusky purple hue sprouts every year, decorating the city of Provence each summer. The stunning spot is more than just a photo op; it’s part of France’s DNA. Visit the Le Musée de la Lavande is the charming town of Cabrieres d’Avignon to learn the history of the fields and the Provence lavender distillation techniques dating back to the early 1900s. Venture through the small farm towns like Ferrassières and Valesole for farmers’ markets and lavender festivals galore. Talk about a pink and purple paradise. Hokkaido, Japan, is known for its vast fields of Shibazakura flowers. 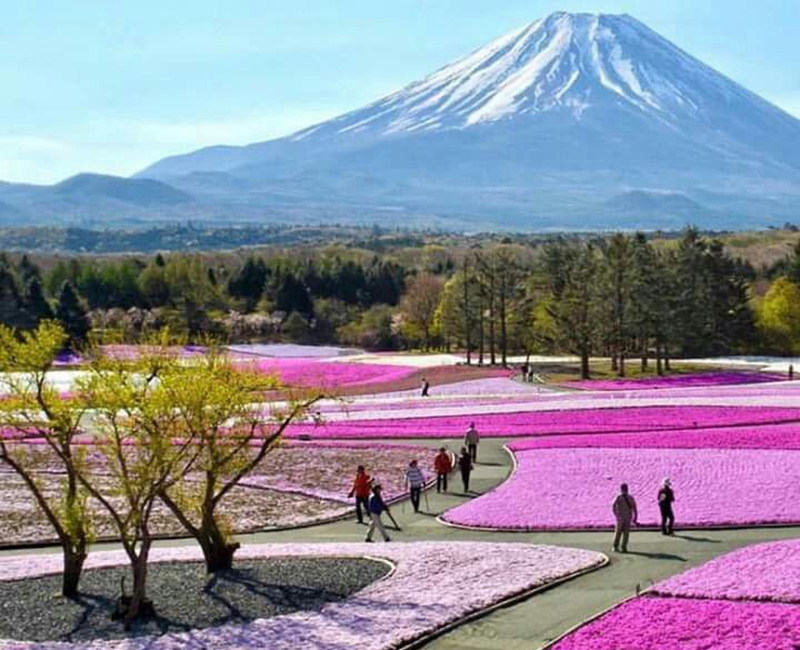 The five-petal flowers litter the ground in pink, fuschia, and purple, giving the illusion of a painted town. Walking through Hokkaido in the spring and summertime is a surreal experience that travelers from across the globe come to discover. The 100,000 square-meter hillside is unparalleled. Why on earth would we recommend you visit the driest destination on the planet? Well, it’s complicated. While the word “desert” may sound like a destination you’d rather skip, you have yet to feast your eyes on the Atacama Desert’s most beautiful feature. The Northern Chile desert is considered to be a top destination for explorers. The 1,000 square miles of terrain includes geysers, salt lagoons, colorfully striped cliffs, and golden dunes that are ideal for surfing. 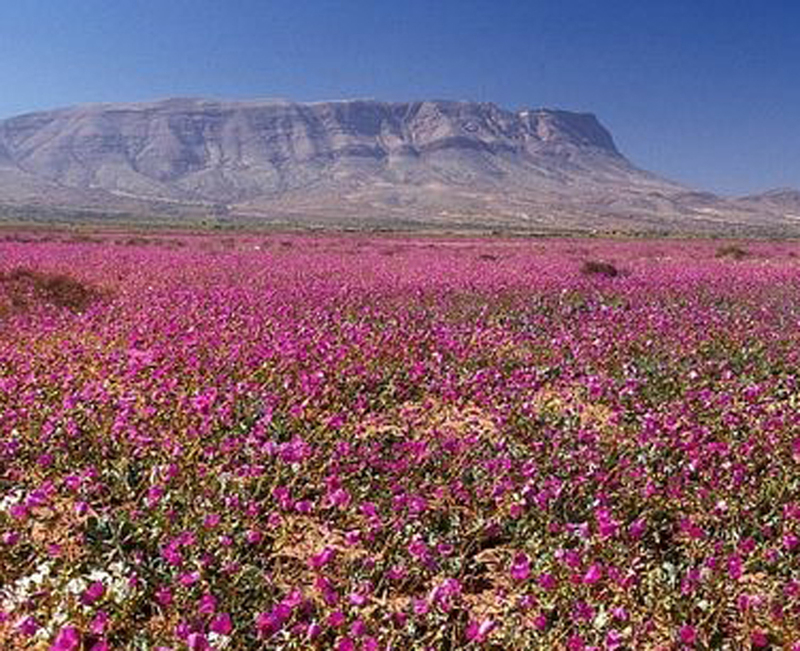 The arid desert even bloomed 200 types of flowers that developed after a rare and heavy rainstorm. The natural phenomenon should not be missed. Once the sun sets on the picture-perfect lands, stay to the glittering night sky filled with stars.